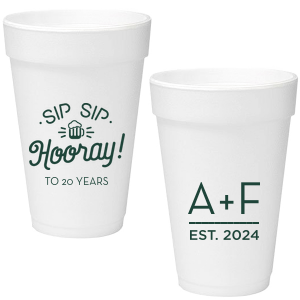 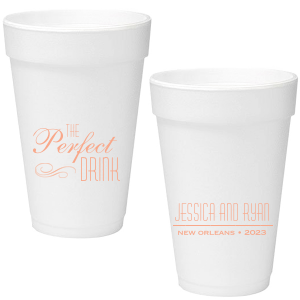 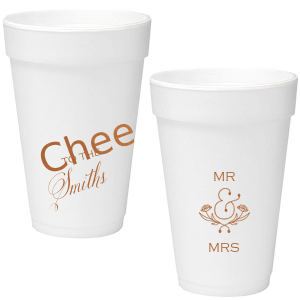 Personalize 16 ounce styrofoam cups to serve drinks in style! 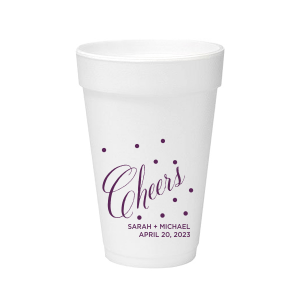 Perfect for events like tailgates and graduation parties, these custom foam cups can be designed with clipart and text to match any theme. 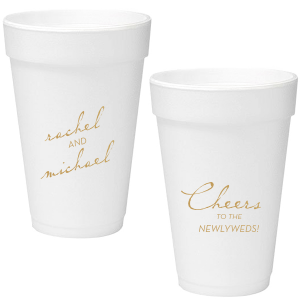 Are you planning a casual wedding reception? 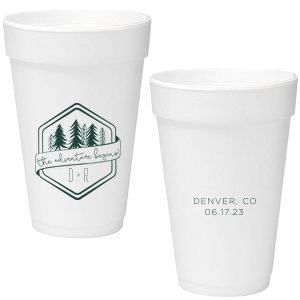 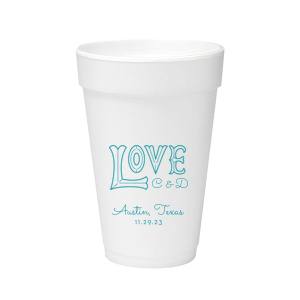 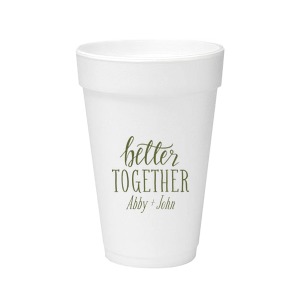 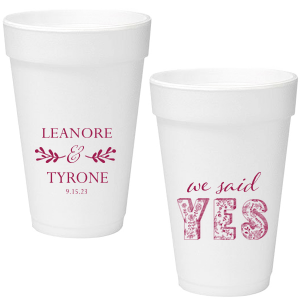 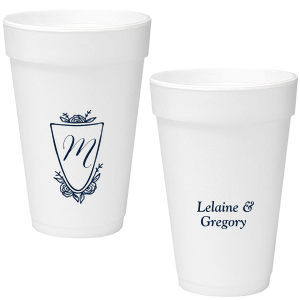 Custom 16 ounce styrofoam cups make great wedding cups for outdoor receptions. 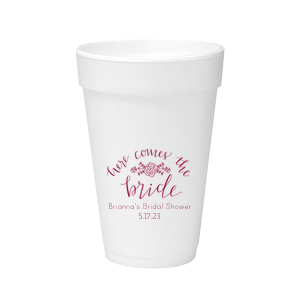 Insulated to keep hot drinks hot and cold drinks cold, you can use these cups for a wedding or engagement party hot chocolate bar or even for ice cream at your wedding dessert bar. 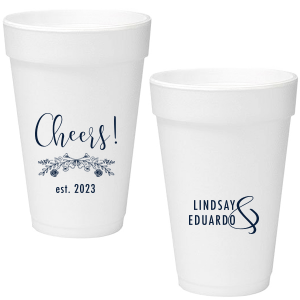 Whatever your event, get creative and guests will love your personal touch. 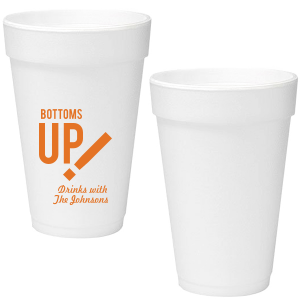 Our real-time customizer makes designing your cups fun and easy. 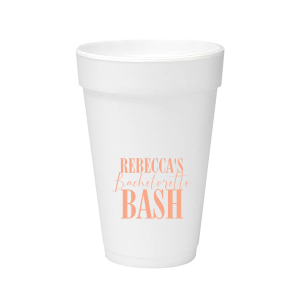 At For Your Party, the minimum order is only 50 cups and our styrofoam cups are made and printed in the U.S. 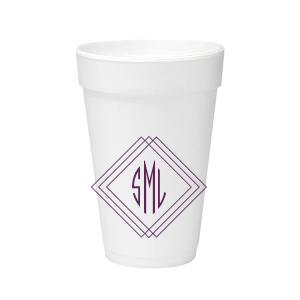 Remember when ordering our 16 ounce foam cups that the liquid amount you will actually pour in the cup will be less that the ounce size of the cup. 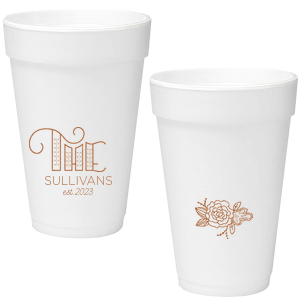 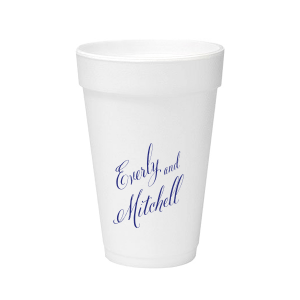 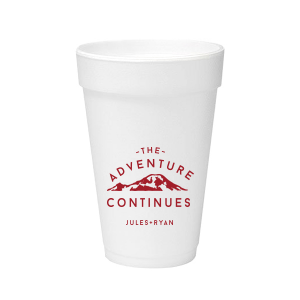 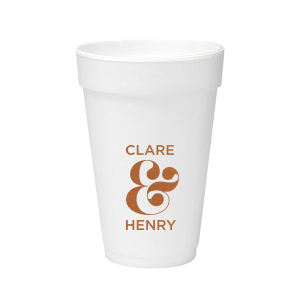 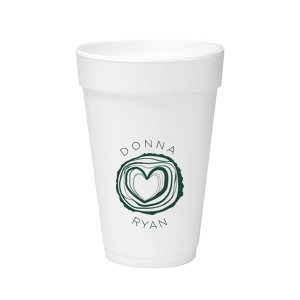 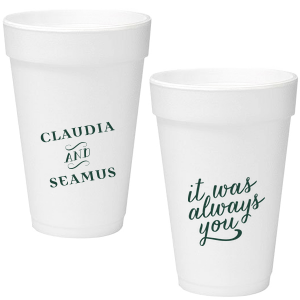 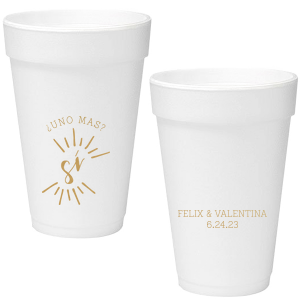 Order your personalized styrofoam cups up a size to allow room for bubbles, foam, or ice!